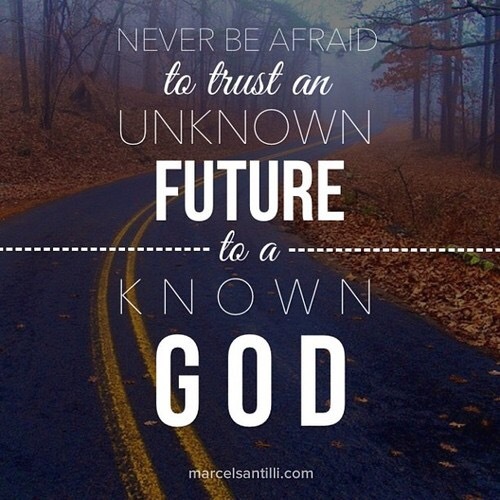 Do we really trust the known in the unknown or do we argue with or criticize God? From our vantage point when we look at what Job went through we can see that he had every reason to clench his fist at God and scream at the injustice and pain that was plummeting him like football size hail in a thunderstorm. Job was understandably angry. Yet he realize that he had no grounds nor was he worthy to critique God’s holy and righteous actions. How often do you criticize God through your whining, bitterness, and negative thoughts? Like our children, we complain because we haven’t gotten our way. However, it’s in times of adversity we need to remember Job and what he did when finally given a chance to speak: “I lay my hand over my mouth.” (Job 40:4) Even though we don’t know what tomorrow will bring, we do know that God will be there and if God is there, He will also be with us!